When they work with party planners Atlanta residents get to create the event of their dreams. That takes a lot of different forms for different people, but at Track Seven Events, one of our favorite themes is to take a trip down the yellow brick road to the Wonderful Land of Oz. Ever since L. Frank Baum released the novel "The Wonderful Wizard of Oz" in 1900, the story of Dorothy and her friends has captivated the hearts and minds of Americans. Baum followed this book with fourteen sequels, and in those books, which many people don't even know about, Dorothy returns to Oz numerous times to have even more adventures with her plucky band of friends. People may have forgotten about these stories, but in 1939, Hollywood released a film version. Considered to be one of the greatest films of all time, "The Wonderful Wizard of Oz" still regularly appears on TV today, and there's also been recent remakes of this film. Arguably, none of them will ever stand up to the original. It's become an iconic part of many subcultures around the country, and because of that party planners in Atlanta frequently get requests to create events designed around this film. With the involvement of party planners, Atlanta events become spectacular. In particular, at our Wizard of Oz themed events, we've played with lots of different concepts. We create backdrops that make it look like the DJ is the Wizard of Oz. We play with green lighting to create the sense of the emerald city, but of course, we don't forget the story's humble beginnings in Kansas. We set up props that look like Auntie Em and Uncle Henry's house with a windmill beside it to complete the look. We even have large ruby-colored slippers to complete the whole effect. If you are more of a fan of the book, we can skip that Hollywood addition to the story and go with the gold slippers that are featured in the book. There are a lot of options. With the assistance of party planners, Atlanta revelers get to experience things they would never normally experience, and that includes skipping down the yellow brick road. We can do all kinds of things with that theme. Some event planners like to have the yellow brick road leading to the door of their event. Others want a yellow brick road that winds it way around silent auction items or from buffet tables to open bars. It's up to you. When you come to Track Seven Events, we help you create a party that's worthy of Dorothy, the Tin Man, the Cowardly Lion, and the Scarecrow. You tell us your vision, and we help make that a reality. Whether that involves Judy Garland singing "Somewhere Over the Rainbow", a wicked witch making an appearance as the event's emcee, or something completely different, we can create that. Want to go to Oz? Prefer Ancient Egypt or the Roaring '20s? Don't worry, wherever you've always dreamed of going, we can take you there.  Just contact Track Seven Events to start planning your special event today.